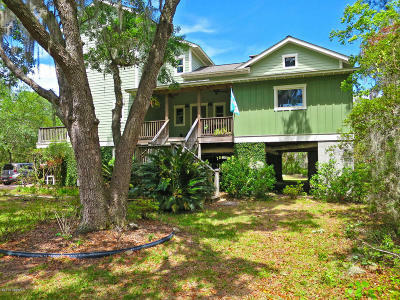 Hidden Lowcountry gem in desirable Mossy Oaks, set back from the road on .8 acres of marshfront property! This unique home designed by the original owner-architect in 2003 features custom architectural details, solid wood and bamboo floors, vaulted ceilings, and marble countertops. Open concept living area and extra parking are great for entertaining, while the fire pit in the back yard is perfect for a Lowcountry boil. 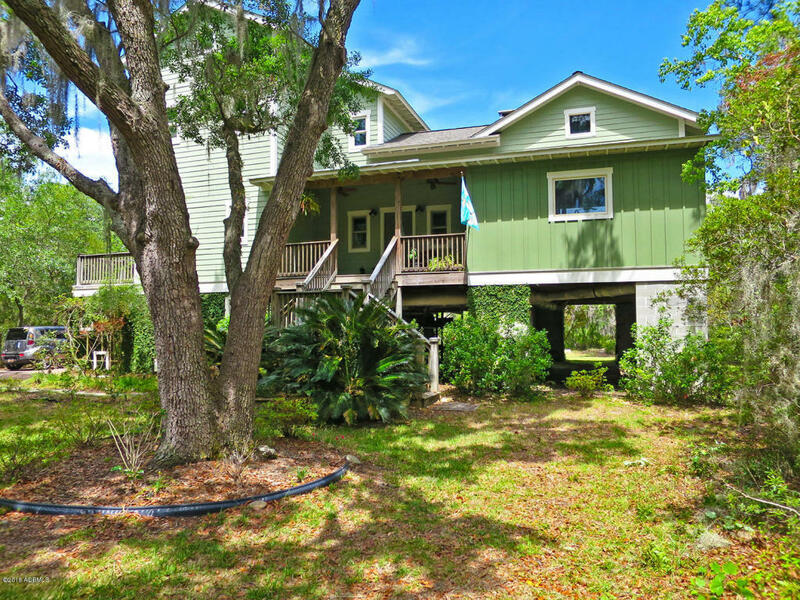 Enjoy elevated saltwater marsh views and stunning sunsets from the large screened-in porch and the many windows and French doors. Conveniently located across from the new entrance to SouthSide Park and public tennis courts, as well as easy access to Spanish Moss trail for walking and biking. New carpet throughout, new stainless appliances, and an updated dual HVAC system.